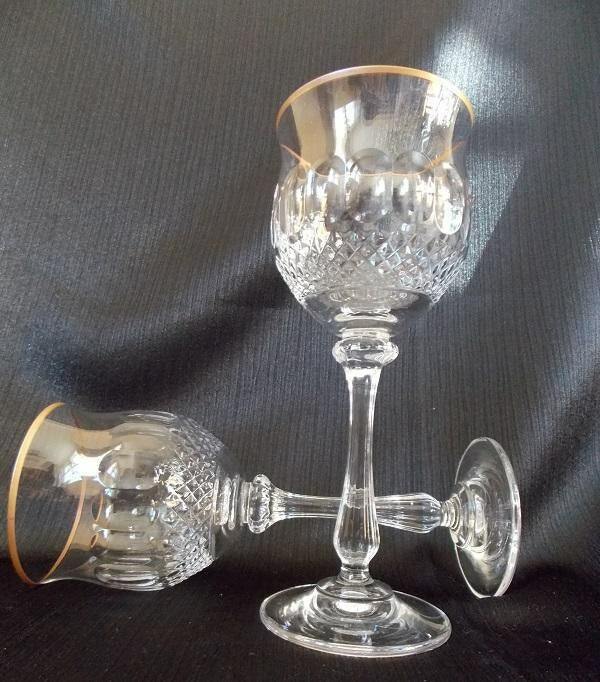 This pair of crystal wine glasses were made by Mikasa in the Gold Crown pattern between 1983-1987. 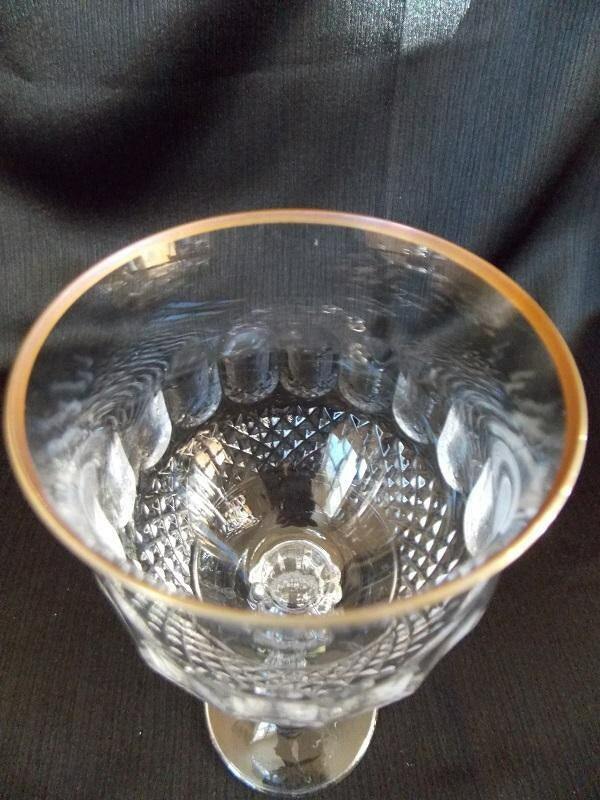 These heavy crystal glasses have cut diamond pattern around the bottom bowl with a thumb print design circling above it. 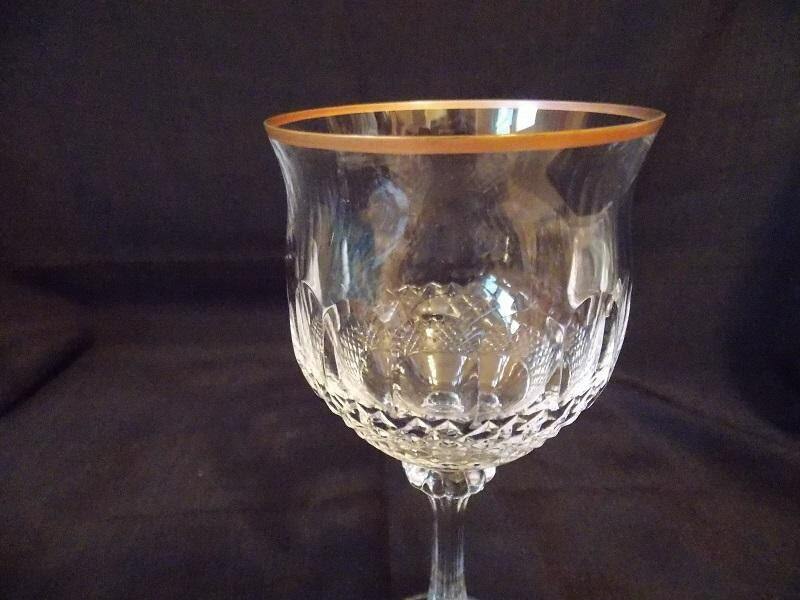 There is gold trim at the, and the stem and base are clear. The stem has a slight vertical ribbed pattern. 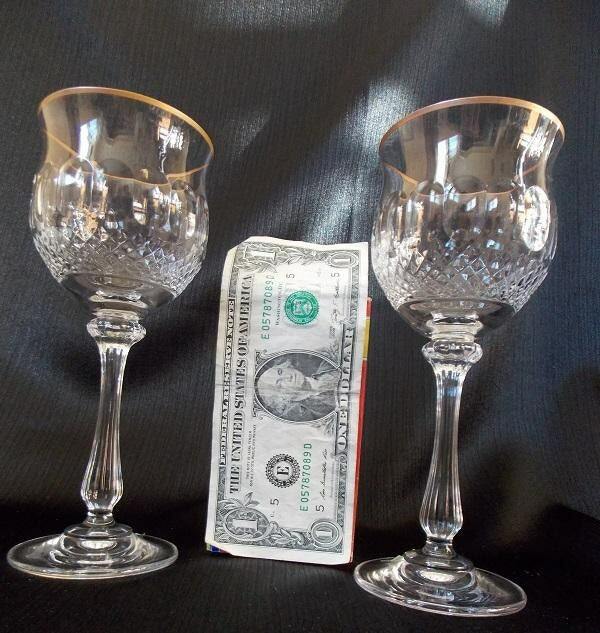 These glasses are very delicate and will have to be hand washed. 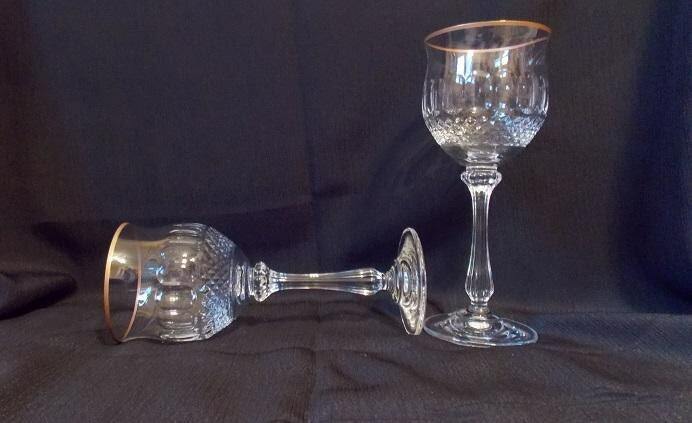 These wine glasses are in excellent condition with no cracks or chips.